Eastern junior Nate Durst (7) tags out a Waterford runner in front of EHS seniors Kaleb Hill (14) and Christian Mattox (11), during the Eagles’ 6-0 victory over Waterford on Tuesday in Tuppers Plains. TUPPERS PLAINS, Ohio — Revenge at its finest. 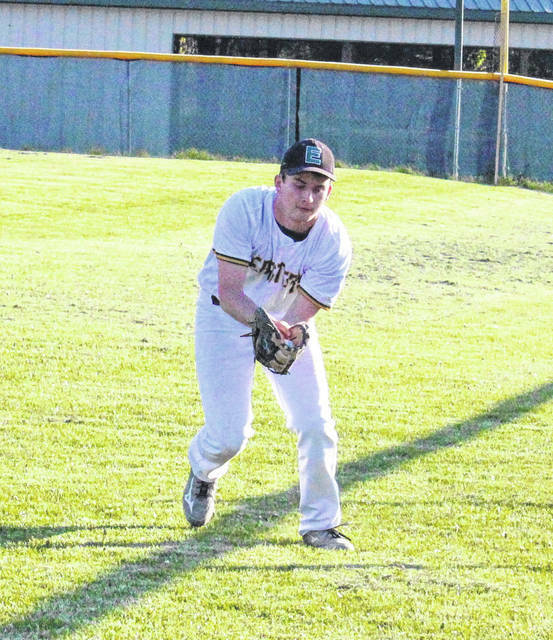 The Eastern baseball team avenged its only Tri-Valley Conference Hocking Division loss of the year on Tuesday night in Meigs County, as the Eagles defeated guest Waterford by a 6-0 tally. Waterford — which squeaked out a 2-1 victory over Eastern (19-3, 13-1 TVC Hocking) on April 18 in Washington County — left two runners on base in the top of the first inning. The Eagles also left two runners on base in the first inning, but held Waterford hitless in the following frame. Eastern took the lead in the bottom of the second inning, with Josh Brewer reaching on a lead-off error and later scoring the game’s first run. Matthew Blanchard, Christian Mattox, Nate Durst, Austin Coleman, and Ethen Richmond also came around to score in the second inning, as EHS claimed a 6-0 lead. The Wildcats left a runner on third in the top of the third, but didn’t reach scoring position again until the fifth inning. 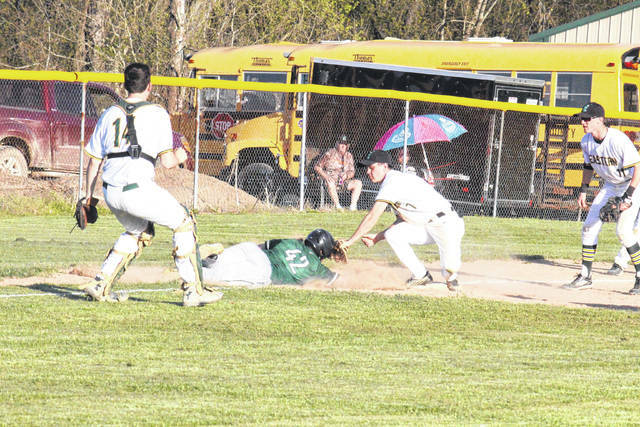 The Eagles stranded runners at first and second in the third inning, while leaving one on third in the fourth. EHS loaded the bases in the fifth inning and had runners at the corners in the sixth, but failed to produce a seventh run. Waterford left a runner in scoring position in both the fifth and sixth innings, but went down in order in the seventh and fell by a 6-0 tally. The Eagles — who make a non-conference trip to Logan on Wednesday — will have a chance to clinch a share of the 2018 TVC Hocking championship when Federal Hocking visits Tuppers Plains on Thursday. “We’re excited to be in a position to compete with such good teams in our league,” Bowen said. “It’s the last week of the season and we have as good of a shot as anybody, so we’re excited about that. Richmond earned the pitching victory for the Eagles, striking out five batters in five innings, while allowing one hit. In two innings of relief, Coleman struck out three batters, walked one and gave up two hits. Noah Huffman took the loss 4.1 innings for the Wildcats surrendering six runs one earned, on six hits and two walks. 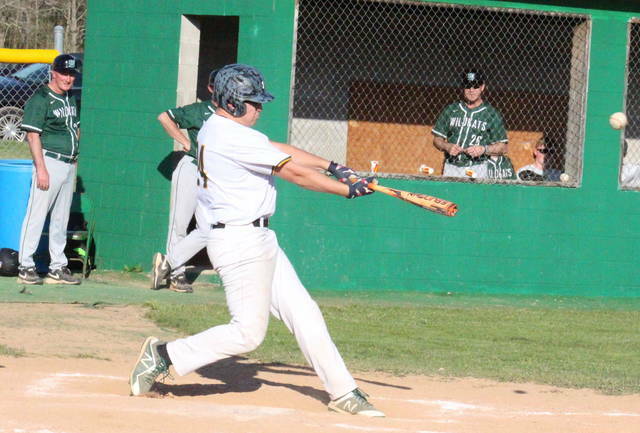 Richmond led the Eagle offense, going 3-for-3 with a double, a run scored and a run batted in. Mattox singled twice, scored once and drove in a run for EHS, Coleman and Blanchard both singled once and scored once while, Kaleb Hill singled once and drove in a run. Brewer and Durst both contributed a run to the winning cause. Braden Bellville led the guests with a triple, while Austin Pyatt and Brock Hayes both singled once. 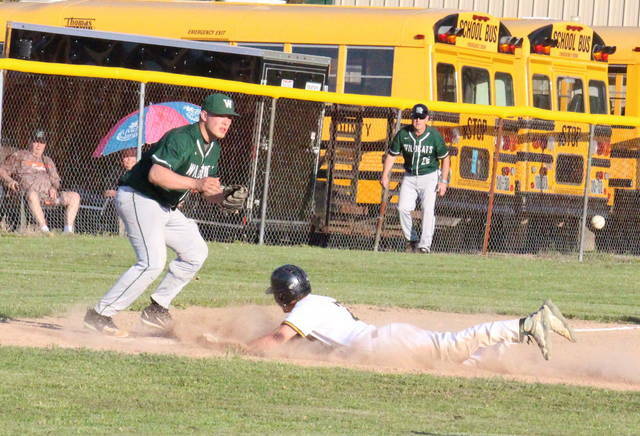 The Eagles committed four errors, while Waterford had five. EHS stranded nine runners on base, two more than WHS.